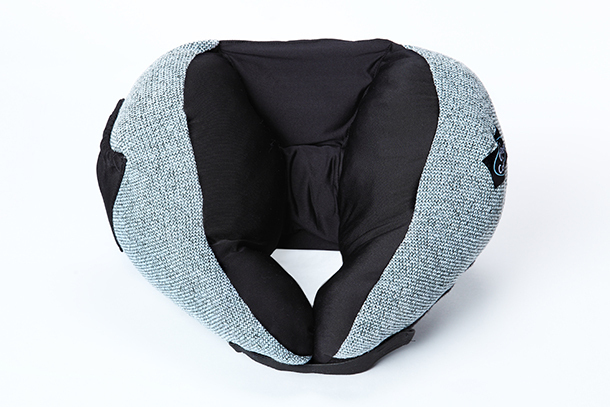 What Is it: The Comfy Commuter Travel and Neck Pillow. Price and Where to Buy: At the time of publication, the pillow was on sale on Amazon and The Comfy Commuter website for $39.99. Cool Factor: 8/10. This pillow isn’t any dorkier than any other travel pillow. Final Verdict: This pillow didn’t work for me, but hundreds of happy reviewers on Amazon love it. Since there’s a money-back guarantee, you might as well try it for yourself if you’re in the market for a new travel pillow.